We will teach you how to play to the best of our abilities. And have fun while learning the game. We are currently taking on new and experienced players alike. If you believe you have skills to bring to the table and are willing to educate other players and myself, then feel free to join. 2) A statement of your willingness to follow The Legion's laws and submit to the terms of The Legion's pacts with other kingdoms. I'd like to re-create my kingdom. If interested in joining me, enter my name (Travadixxen) as the ruler. 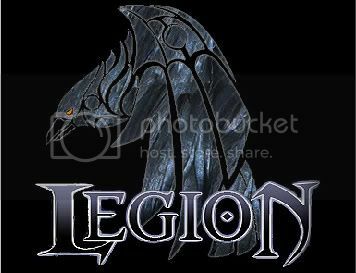 The Legion will be headed for Talents. TL is now on Armageddon. Things are going well with us in Arma. We had one player go inactive for 5 days and we decided to kick him since he had control of a blocker that was not finished. Admiral Krum is at it again. Currently we have one of his armies ocupying one of our blockers, which we hope to recover. I personally have made 2 attempts at an invasion of his lands and failed on both ventures. Hats of to you for repelling my attack. We have a new member of the VU community now. A shout out to Mr. Green Shield for joining in on the fun! I hope he sticks around long enough to learn how fun this game is. If your reading this Shield, keep up the good work, and don't be afraid to ask any questions! Death Valley is a good kingdom with high quality members that value honor over personal gain. And I am happy to know some of their members. I hope to cross swords again soon.